You may recall the fabulous cover illustration of this from when Reading 1000 Lives took part in the Mr. Wicker cover reveal awhile back. 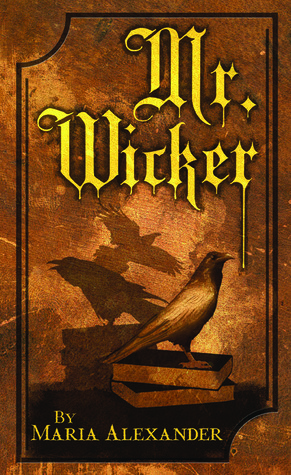 Since then Mr. Wicker has earned a 2014 Bram Stoker Award nomination for Superior Achievement in a First Novel. In her debut novel, Alexander draws from mythological sources, particularly Celtic, to form a richly imaginative story that combines elements of fantasy, horror, romance, and historical novels. In the throes of depression and instability horror writer Alicia Baum succumbs to suicide. Rather than offering any release, she finds herself in a timeworn library before a strange man who speaks of lost memories and a desire born from destiny to have her stay beside him, Mr. Wicker, in this mysterious realm beyond life where he can reunite her with all she has lost. Alicia, despite recognizing this sense of incompleteness within herself that has fueled her mental instability, chooses instead to flee from the uncertain strangeness of Mr. Wicker and his abode. Eternal rest ever elusive, Alicia awakens back to the reality of life, placed in a psychiatric ward under the care of doctors who would never accept her odd experiences. But, Dr. James Farron has heard child patients in his care whisper in their dreams about the uncanny Mr. Wicker, and overhearing Alicia do the same draws him into serving as her advocate and protector, from her own mind and the corruption of hospital staff. In return he hopes to finally discover the secret to the Mr Wicker phenomena and save his patients. A synopsis of Mr. Wicker‘s plot simply can not do its intricacies and many layers justice, and too much information can spoil the fun. In a way, Alexander has constructed the novel like a puzzle, and some pieces can be found outside of the novel proper on her website to uncover new secrets and connections. This construction fits well conceptually with the intermixing of genres that Mr. Wicker for the most part manages to handle rather well. She handles the balance between horror, fantasy, and romance rather well, particularly for a first novel. The story was originally envisioned as a film script and the fluidity of events amid the intertwined structure of character-history-reveal shows the marks of this. My only major quibble is with the extended interlude toward the novel’s end that makes up the more ‘historical’ genre aspect of the novel. Revealing Mr. Wicker’s past, this section is actually one of my favorite portions of the novel in terms of the language and development on its own. But within the whole it ends up breaking the flow of everything around it, not fully integrated into the whole. Personally I can see this historical interlude working well on the screen, but within the book it felt almost a disruptive info-dump of revelation that may have felt more natural interwoven as all other elements of the novel are. Rather than being the clear-cut villain as I expected, Mr. Wicker is in fact far more complex, full of bittersweet tragedy. The significance of his name will be familiar to anyone who’s seen either of the Wicker Man films or knows that aspect of Celtic history. I particularly enjoyed Mr. Wicker’s corvoid companions. While I knew of their place in Norse mythology, I hadn’t realized that the raven had similar counterparts in Celtic. Alicia’s allure as a character arises from her opposing dualities. She is drawn alternatively between life and death, between the influence of Mr. Wicker and Dr. Farron, fear of her present mind and desire to reclaim past memories. Alicia has moments of strong independence and making clear decisions, but then also times where she foolishly blunders or shows utter dependence on a male character. Mr. Wicker and Dr. Farron are (selfishly in one case, more altruistically in the other) each intent on claiming her, either as a sort of property or as a case for care, respectively. For much of the novel Alicia permits herself to be defined in this way, but she ultimately reaches her own self discovery and road to follow, so I’d encourage any readers at first put off by this to stay with the story. While extremely likable as a character, Dr. Farron is rather predictable and one dimensional, as are the secondary characters of the novel, particularly another doctor who serves as the moral opposite of Farron. To be fair, the unique development of Alicia and Mr. Wicker could also arise from this story’s origin as screenplay, where development of more than a couple characters is simply not recommended. Ultimately fans of dark fantasy who enjoy a touch of mystery and romance will find Mr. Wicker worth a look, an intricate Celtic knot that Alexander has woven quite well for a debut. I think a tale destined from the start for the page rather than the screen will even more deeply reveal her magic and talent for storytelling. Disclaimer: I received a free advanced reading copy of this from Raw Dog Screaming Press in exchange for an honest review. As I now get back into catching up on reviews of things I have read, I wanted to mention two books that I’m excited about, but haven’t gotten to read yet. 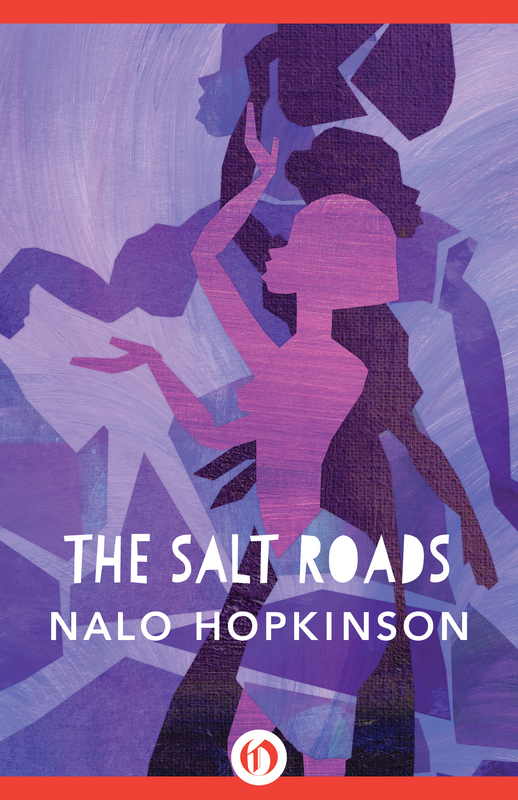 The first was first released back in 2004, but just had an e-reader release from Open Road Media at the very end of January: THE SALT ROADS, by Nalo Hopkinson. I’ve heard nothing but utter praise for Hopkinson, including from writer Juno Diaz, so I’ve been looking forward to reading her work and regretted having to turn down the chance to review it. But I still feel comfortable in recommending it as something worth looking into if you missed it. Hopkinson’s time-traveling, genre-spanning novel weaves a common thread of spiritualism and hope through three intertwined stories of women possessed by Ezili, the goddess of love, as she inspires, inhabits, and guides them through trying personal and historical moments. Jeanne Duval is a talented entertainer suffering from the ravages of a sexually transmitted disease; Mer is a slave and talented doctor who bears witness as Saint Domingue throws off the yoke of colonial rule in the early nineteenth century; and Meritet is a woman of the night who finds religion her own way. Though the three are separated by many miles and centuries, a powerful bond draws them together. 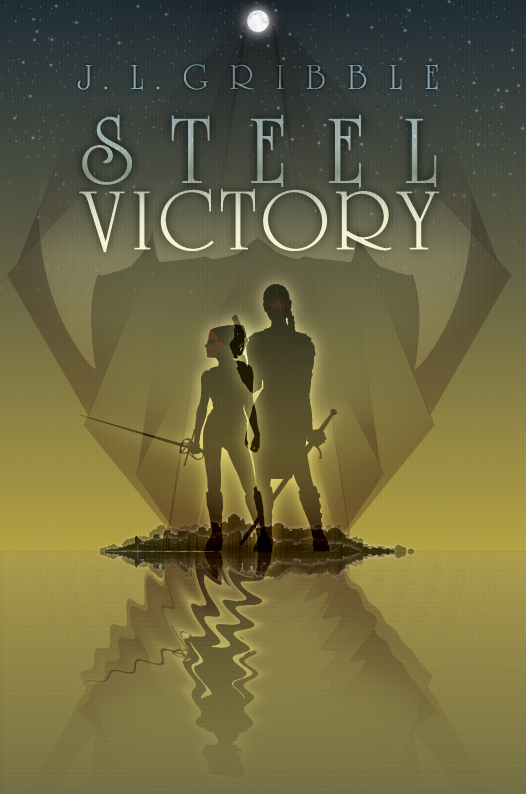 The second title I’m really looking forward to is STEEL VICTORY, an upcoming title now available for preorder from Dog Star Books (Raw Dog Screaming Press), written by J.L. Gribble. 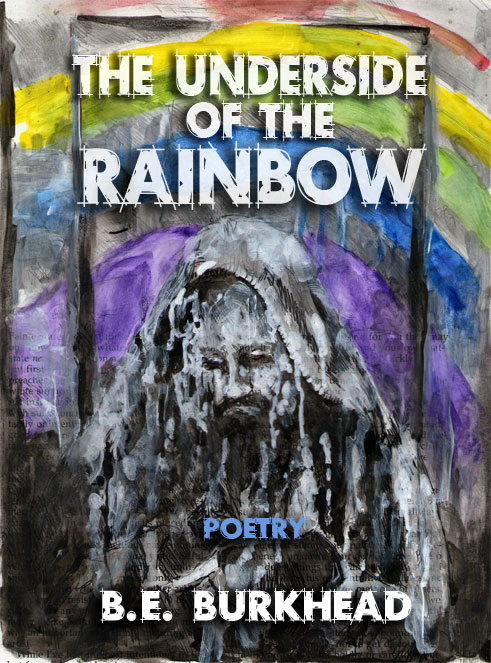 Out in June, today was the cover reveal and exclusive spotlight on the novel at Dirge Magazine. 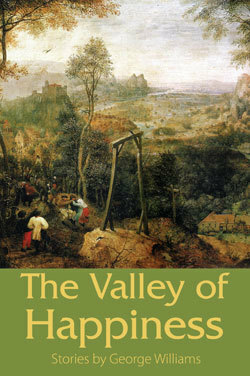 It looks fantastic with another superb cover for this small press by Brad Sharp. I look forward to getting my paws on a copy. “One hundred years ago, the vampire Victory retired from a centuries-long mercenary career. She settled in Limani, the independent city-state acting as a neutral zone between the British and Roman colonies on the New Continent.